Bus drivers from a Teesside bus depot have raised £1,600 for charity by spreading some Christmas cheer as they drove their buses during the run up to Christmas. 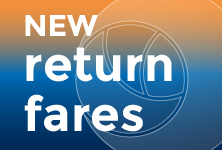 Bus passengers will soon be able to travel between Sunderland and Newcastle with the introduction of a new express bus service by Stagecoach North East. 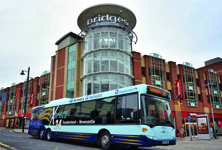 Bus passengers in Sunderland will soon be able to travel for even less with the introduction of return fares from local communities in the south of the city.